Agartala: A man allegedly attempted suicide by stabbing himself under the influence of 'Blue Whale' game in South Tripura district, police said today. 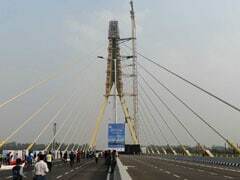 The 26-year-old man allegedly attempted suicide at Banshpadua village about 100 km from Agartala on Friday (October 6), the police said. "Santosh Debnath, father of a two year old kid had attempted suicide by stabbing on his stomach with a knife under the influence of Blue Whale game. He is now admitted at Belonia hospital", Sub-Divisional Police Officer (SDPO) of Belonia, Ratan Das told PTI. 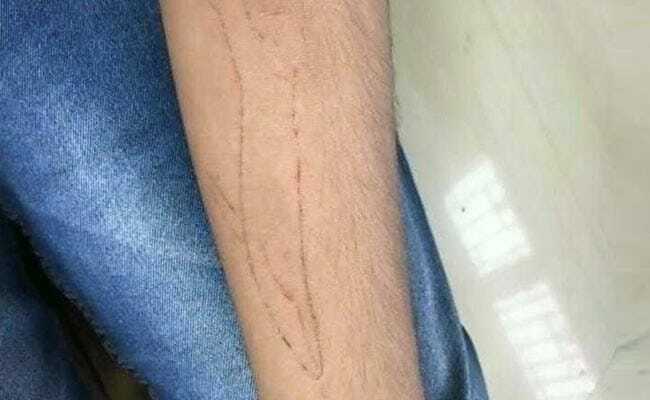 One and half months ago, a college girl of the town was found drawing 'Blue Whale' on her hand and later counselled by her relatives and police and then she left playing the game. "Santosh started playing the game 16-days before he made a suicide attempt. He got the ink from net. He completed all the rounds in 16-days and was asked by the administrators of the game to commit suicide by jumping into a pond. He stabbed himself before jumping into a pond on Friday," SDPO Das said. "Following his erratic behaviour, friends of Santosh searched his mobile phone and found that he was playing the deadly game. 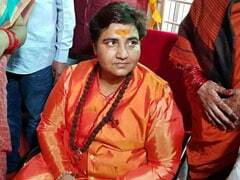 "Friends of Santosh informed police regarding his involvement with the game on Sunday", the SDPO said.